Grape Variety: Gewürztraminer, late harvest. 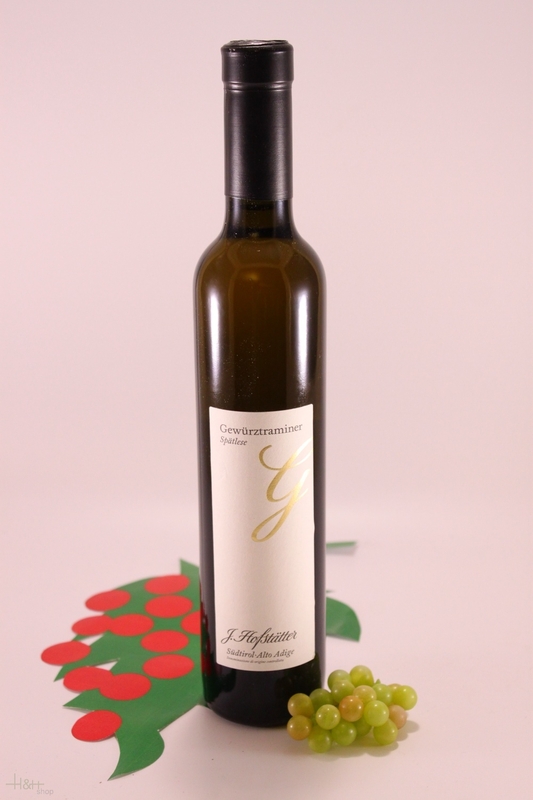 Vineyard / Origin: This is a late-harvest Gewürztraminer made grapes specially selected various sites surrounding Tramin. The grape variety is named after the village of Tramin, where the growing conditions enable it to develop its typical aromatic character to the full. Soil: Clay, gravel and calcium carbonate. Harvest: Takes place well into November. Picking is a very difficult process, given that over-ripe grapes are extremely delicate and picking requires expert hands to place them carefully in small wooden trays. Winemaking: The grapes are crushed gently and carefully; the juice is left to clear by natural sedimentation, after which fermentation takes in small oak casks. 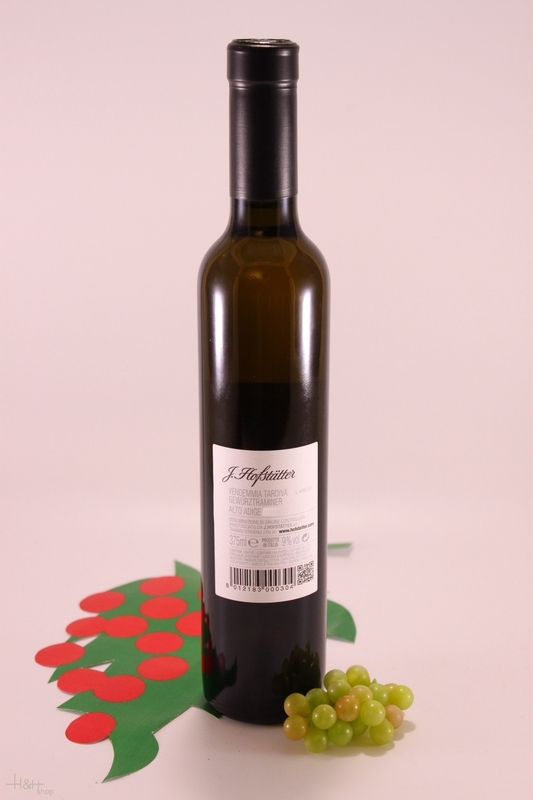 The wine subsequently aged in small casks for 12 months and then for six months in bottle before release. Description: Golden in colour. An intense and concentrated aroma is released as soon as the wine is poured, reminiscent of exotic fruits such as mango, papaya with a hint of pineapple and lychee, all of which follows through on the palate; opulent, ambrosial with mouthcleansing acidity to balance the luscious sweetness melting into a monumental finish.